2012 NARC Blog: 36. FISHHOOK MEGAN, LF, Eloy Garcia, Jr. WELCOME to the Official Blog of the 2012 National Amateur, June 17-23, held this year in Onaway, Michigan. This year's Blog is brought to you by the Retriever News and sponsored by Purina, Avery, Dogs Afield and Ainley. We hope you enjoy these multi-daily updates and please come back often! 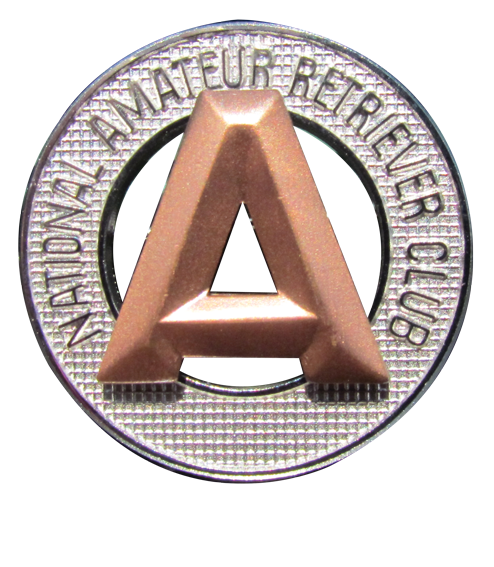 This year we encourage visitors to participate in the National Amateur discussion located in the comments section of each post. These areas are a great outlet for remote communication and commentary for those unable to attend this year's NARC. Also, please keep an eye out for trivia, surveys and other interactive activities! 36. FISHHOOK MEGAN, LF, Eloy Garcia, Jr. Welcome! We are trying this new system of community communication, so we ask that you keep comments relevant and civil. Thank you for your participation in the 2012 NARC Blog.